The announcement comes in the wake of protests by teachers and students bodies after the petition seeking restoration of earlier mechanism of faculty reservation. 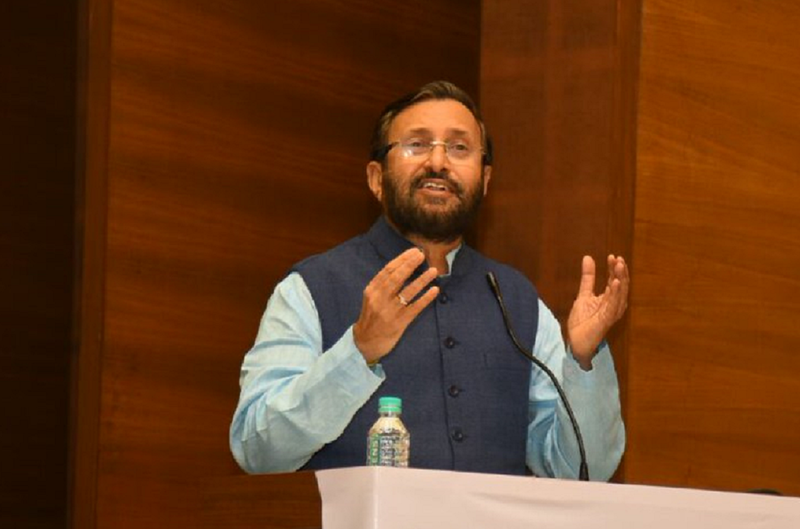 New Delhi: HRD Minister Prakash Javadekar said Tuesday that the government will file a review petition in the Supreme Court after its Special Leave Petition on faculty reservation mechanism for universities was rejected by the apex court. The announcement comes in the wake of protests by teachers and students bodies after the SLP seeking restoration of earlier mechanism of faculty reservation, which is calculating total posts institution-wise rather than department-wise, was dismissed by the apex court last month. “We will file a review petition soon and we will put our point strongly. We are confident there will be justice and reservation will continue as per the earlier system. The government will ensure that reservation for SC/ST/OBC is not hampered,” Javadekar added. Earlier universities were treated as a unit for reservation which was the right thing and the SC/ST/OBC were treated in a just manner, he said. Initially the Allahabad High Court and then the Supreme Court decided that department wise reservation will happen which meant reduction in reservation for SC/ST/OBC, Javadekar said. “The Modi government filed an SLP against it and it was argued well but the Supreme Court did not accept the SLP,” he said. The University Grants Commission (UGC) had issued a communication to all universities and higher education institutions (HEIs) to “postpone the recruitment process” till the Supreme Court issued its verdict on the SLP and that decision has not been withdrawn yet, the minister said. The DUTA and JNUTA called the government’s move to file a review petition in the Supreme Court as a “time-killing” move. Delhi University Teachers’ Association president Rajib Ray said the government should instead bring a legislation in the Budget session of Parliament. “We want that a bill be brought in the current Budget session and the review petition will only kill time,” DUTA president Rajib Ray said. Jawaharlal Nehru University Teachers’ Association secretary Avinash Kumar said the move will delay appointments and is not a solution to the issue. The UGC had announced in March last year that an individual department should be considered as the base unit to calculate the number of teaching posts to be reserved for Scheduled Caste (SC) and Scheduled Tribe (ST) candidates following an order by the Allahabad High Court in April in 2017.